When I awoke this morning at 5:30, I checked the weather and the dew point was right on the current temp mark, which gives a good indication there is fog. On my local forecast, they even called the conditions "foggy". So i jumped in the FJ and headed on about a 45 jaunt from my home to hit some of the dirt roads in hopes of getting close to the river and shooting some foggy river scenes. This scene was just before I ended my morning shoot and it was the first fog I saw all morning. 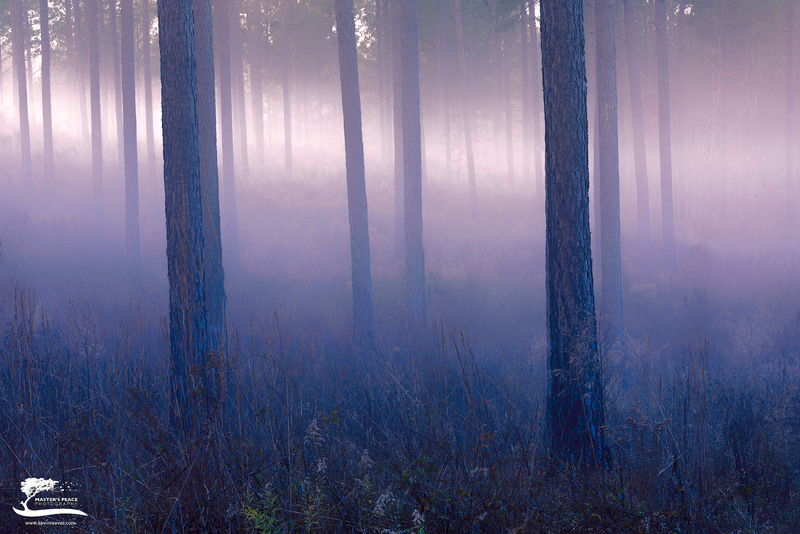 Once the sun began to rise above the tress behind me, it broke through the clouds and illuminated the fog making for an ethereal scene. The light only lasted about 10 minutes and it disappeared back behind some clouds. Go figure........... Photo © copyright by Kevin Reaves.